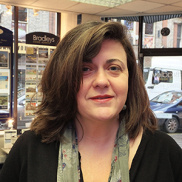 I started my career in Estate Agency after leaving school in 1986 after a brief stint at the local planning department and started with Bradleys on their opening day in 1992. I very much worked my way up from the bottom, starting as a trainee for a small local firm and this has now has stood me in very good stead to know every part of the business, as my career has progressed. I love working in Exeter and have been lucky enough to see it grow and change over the last few years as it attracts people to work and study from across the world, which means there is always an interesting story to hear. The reason I am still here two decades on is the people I work with. A really brilliant team across the three Exeter Offices working closely with each other, means we can offer a fabulous service to all our clients.